Hope you are all enjoying the record breaking UK summer in 6 decades and also soon planning some holidays with most schools closing this week… happy times ! This newsletter is an update on the I For India - CCC Premier League cricket tournament which took place last weekend, and some exciting news on our baby steps into a new world of entertainment ! As many of you maybe aware, we made some substantial changes to our event formats earlier this year and a key decision was to feature a prominent sport or physical fitness and wellbeing activity. To create some fanfare around this, we started with flash dances as tribute to every IPL cricket team by their fans on the 10th anniversary of IPL this April (video link). The next step to take this further was to develop our very own version of a Premier League style cricket tournament among the UK Indian community. 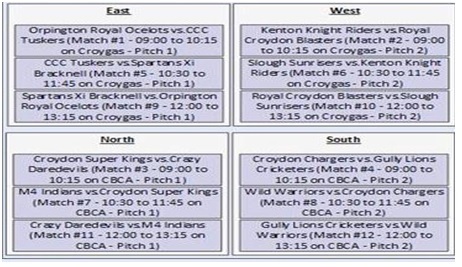 To support us in this we were glad to find an experienced partner Croydon Cricket Club. Hence the idea of an I for India cricket Premier League came to fruition in the UK on 15th July 2018. We initially wanted 8 teams to mirror an IPL type of format in similar colourful cricket gear. However, as we announced the plans and commenced registrations, the teams came pouring in and we ended up with 12 enthusiastic teams. Given that our objective was to encourage sport among the Indian community, we gladly accepted them all and scaled up our format to 12 teams with additional pitches, cricket uniforms etc. The teams were classified into 4 Groups – North, South, East and West, with each team having at least 2 qualifying matches within their group with one top team from each group making the quarter finals. Each team had a squad of 15 and we had all teams arriving to register by 9 a.m. and change into their cricket gear provided on the day. By 10 am we started the kick-off matches across 4 pitches in the massive grounds of Croygas and the entire grounds seemed like a rainbow of colours with 8 teams and 4 matches ongoing simultaneously. The first half of the day was largely the qualifiers, and the post-lunch sessions comprising the knockout rounds of semi-final and the finals at around 5 pm with the day concluding at 7 pm. It was great to see the energy, cheering calls and competitive spirits of the teams at many occasions during the day and we even had some very close and clinching games especially in the qualifying rounds with teams arriving at a tie and close decisions on run rate etc. And the spectacular (albeit very warm) day made the tournament even better …all in all, a great day and many great games of cricket and a new event format successfully concluded for I for India !! For those of you who could not attend, here is a collection of pictures to bring the day to life for you…we hope you are able to join us in person at our next event. It is worth mentioning that some of our volunteers are professional ECB umpires who spared their valuable time for us on the day for which we indeed very grateful. The event has indeed motivated us very much to continue the sports and physical fitness agenda and we hope to come up with similar and varied formats in this space and appreciate any thoughts and ideas and support you can offer. 2. 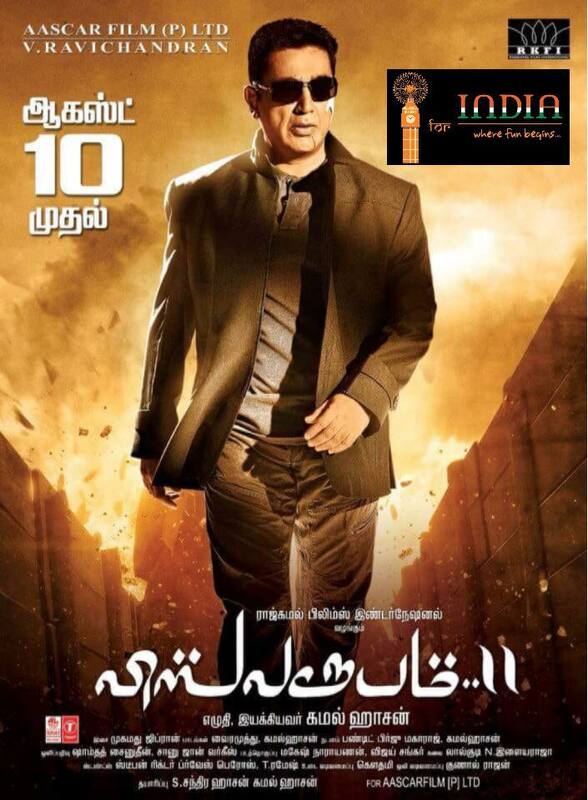 VISHWAROOPAM 2 - coming soon to a screen close to you ! Alongside sport, a key aspect of our renewed strategy was more celebrity content, including bringing quality Indian movies to our UK patrons. We are very pleased to realise this aim also within this year, and that too kicking off with a movie like VISHWAROOPAM 2, featuring the one and only “Ulaganaayagan”, Padma Bhushan, Shri KAMAL HAASAN !!! We are still working out the logistics to screen this as convenient to you as possible. The release is slated for early August and we look forward to your support and encouragement for this maiden attempt of ours also. On behalf of the entire team, partners and volunteers at “I for India”, we thank you for all your support, trust and patronage. Please write to us at team@iforindia.uk for any suggestions or ideas including future events and activities. Please feel free to refer this newsletter to your friends who you think might benefit from being part this community or ask them to keep updated by liking our Facebook page.